Introducing are our newest line of high-performance, ultra-lightweight custom 1911 pistols, our M4-AR Magna rifle, and the Ultimate 14.5 lb. long-range shoulder-fired sniper rifle. These are custom guns sold at a production level price. They are built just like our high-end custom line of guns. We have figured out how to build you a gun with the custom features you want and sell it at a reduced production level price. Available only from Ultimate Arms. The future of handguns is here with the NEW Magna T5 1911 pistols from Ultimate Arms! We developed a new magnesium alloy from ZK60A, which is a material aged to T5 hardness. Magna T5 is 35% lighter and more durable than aluminum. The receivers are machined from a solid forged billet of T5 to ensure maximum hardness and precision. 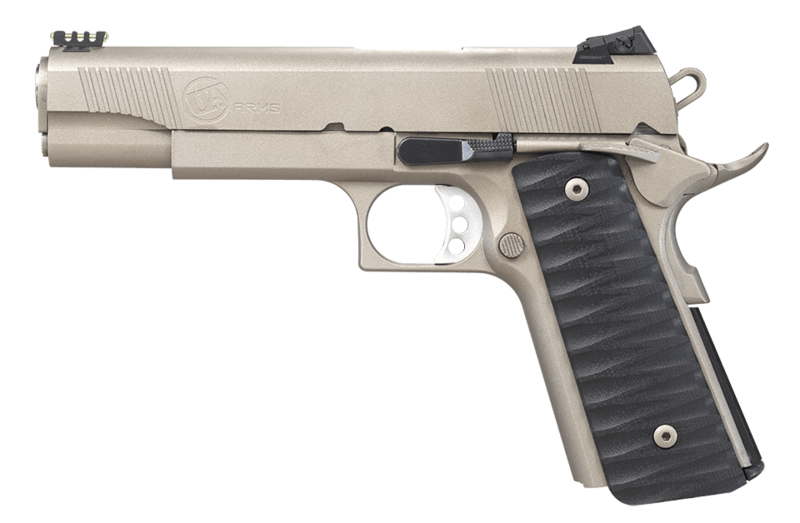 Our ultra-lightweight, high-performance custom 1911 pistols are up to 50% lighter without sacrificing durability. Monogrammed UA Soft Pistol Case. All MAGNA T5 1911 pistols weigh 24-28 ounces unloaded.